20+ Free Online Universities For Kenyans To Learn Valuable Job Skills To Land A Dream Job Or Get Started in An Online Business. 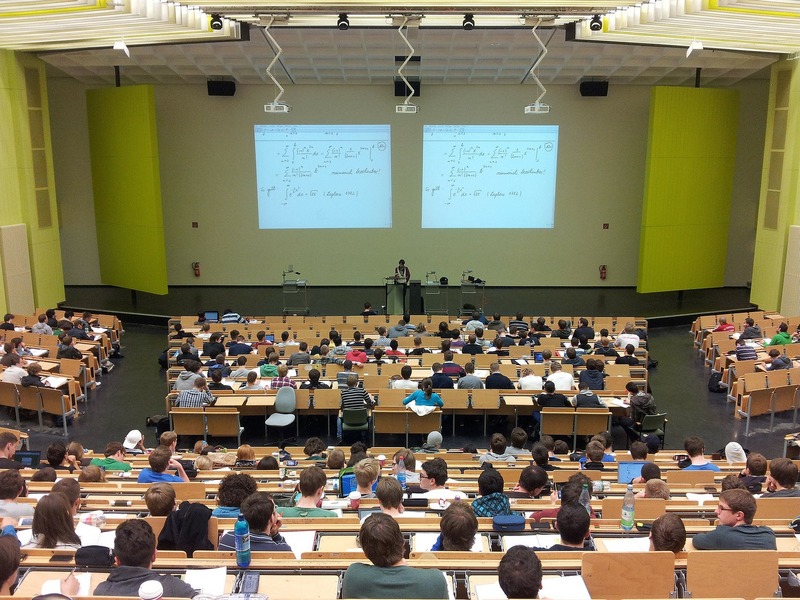 Is there a lucrative skill you’d love to learn as a Kenyan but are stumped as to whether an evening lecture would help? Would you love to expand your knowledge or is there some skill set you’re looking for to find work online or start an online business? Well, digital learning is so exciting as you get to meet with students and teachers from around the world. You have to find yourself a school first. I know searching for schools to study isn’t an easy thing especially when you don’t know exactly what the school teaches. In the online noisy world, you have to differentiate the noise from the message. Some of these online Universities require for you to pay if you need a certificate and others require for you to have subscriptions, others are refresher courses. Not all are Universities though! I sampled a list of 20+ places a Kenyan willing student can expand their set of skills without having to pay for an inconveniencing evening lecture(talk of traffic) and missing your kids appointment. These are skills for those interested in working online and even offline. I have said earlier the online world is too competitive and the high the number of highly required skills you have, the likely you’re to get hired. Well, some of the schools require for you to pay some compensation to the lecturer while others are totally free. Some are just an extension course of what’s offered in their universities, others are specialised courses. Choose wisely what you need. Remember online is flexible and so should your schedule, if something doesn’t work, you can always change. One of the biggest MOOCs ( Massive Open Online Courses) around, and I love Coursera. I have taken a number of courses here with certifications and others without. They have financial aid too! Thought I should throw that in very quickly because the certificate courses are always the best. You get to attend lectures with world-class students from great universities. I have attended lectures in Leiden, The Netherlands a Terrorism Subject. Search Engine Optimisation, University of California, Davis among others. Sometimes, I got into learning for fun like when I took Chinese and Programming courses. I love Coursera and so should you! Created by Massachusetts institute of Technology and Harvard, know you’re getting your feet wet here plus it’s a Non-profit with some of the bestest universities offering their courses and course extension here. A course extension is like a sales pitch to show you how quality their level of education is so that you’re convinced to buy or enroll. Need I add it’s also a platform for millions of users and it’s growing? Learn anything under the sun, the categories are massive. When I first heard of Udemy in 2011, I thought, ” How can I teach a course here?”. I have a lot to share but I cannot stand before a camera! Fast forward, Udemy isn’t for free but you can find some courses for free. Most of the courses, when on sale, are usually at $10 but if you need more in depth, you have to pay a little more think the (tech and programming lessons). Also, You can create your own lesson on Udemy and earn money while a student!. Just buy a camera or use an iPhone’s camera, an excellent microphone, follow some instructions and you’re good to teach on Udemy, market your classes as need be. If interested in the world of computer science, you have reached the ground. Created with an aim of being audacious to you as a student. Topics like Building a Search Engine or Programming a Robotic Car were offered here. With about 1.6 computer enthusiasts, you can learn here. The courses offered are free or what they call Nano-degree. They have since reduced the number of free courses as of 2018! Developed as a Maths learning centre by a father Salman Khan to his son. There’s a lot to learn at Khan apart from Maths, you can learn programming, economics, physics, biology, chemistry. It’s absolutely free non-profit organisation. Coding is interesting to many students and at CodeAcademy you can learn 12 coding languages including Java programming, Python, Java script. And it’s absolutely free with a user base of 25 million, you’re in the right hands! Plus they say, it’s an interactive platform, meaning you get to meet other students and share, worldwide. Offers coding boot-camps (intensive programs for software development). On boot-camps you’re matched with a mentor offering flexible learning to the students’ needs. They have tracks for web developers and designers. And they guarantee you a job immediately after completion. And if you don’t, you get your refund, hop on to read! At Bloc, you have to pay to get enrolled and access the learning materials on a monthly subscription basis plus they have scholarships too!. Bloc was acquired by Thinkful. You find Personal development courses among others. I couldn’t find with a lot of clarity but look around Iversity to learn more. Courses are provided in English or German and all are free. Except if you want a certificate with University credits then you pay. But there’s a free certificate too. Skill-share offers courses for educational purposes only. Here you can learn a wide variety of topics including: How to Master a DSLR Camera, How to Photography 101, How to Crochet for Beginners among other skills. There’s a lot to learn and you can be a teacher too though their process is, ”You have to be invited don’t call us” kind of process. The monthly subscription isn’t that pricey plus you can start free on signing up. At General Assembly, you can learn coding, data, design, digital marketing among other topics. You can also learn UX Deisgn, Front-End Development, Product Management. You can learn full-time, part-time or online and can also ask for scholarship from your employer! On YouTube, you can learn everything under the sun, free of charge. You just have to know how to filter content and not get caught up perusing on topics or watching current events or admiring people’s families(vlogs). Some topics are so well structured while others take time to find while others you have to pay for them. Yego learnt on YouTube how to throw the javelin and so can you!. At Duo Lingo you learn a language free of charge! You can learn: German, Spanish, French, Italian. If you’d love to learn Swedish because you want to go to Sweden or because of a job opportunity, this is the most comprehensive site for learning. The teacher Asa( written A with a dot). At Team Tree House you learn coding. You start 7 days free then $25 a month as subscription. There’s a lot here at Open Culture related to Art. You can watch free movies, read free books, get resources to develop you as a writer from world-class writers. Plus there’s a lot to explore: Psychology, Amazon Kindle, Animation, Architecture. On here, there’s a variety of lessons to learn including: Psychology, Marketing and there are some prominent universities featured as well. Their policy is that everyone can and should access education for free. At Stanford Online you can learn topics as interesting as: How to Learn Maths for Students, Computer Science 101, Quantum Mechanics for Scientists and Engineers 2 among others. They offer: degree, professional programs and graduate certificates. I can see they offer most of their courses through the edX platform. The have a course catalogue constituting of over 900 open enrollments. I found some of them at the top: Advanced Fiction: Writing the Short Story, Organisational Behaviour. And like Stanford you can get either a degree, professional or graduate certificates. Introductory courses are provided for free at Yale and they include: Human Behaviour, Architecture, Financial Markets. There’s no credit given, maybe used to increase your knowledge or gauge whether a certain course is for you. 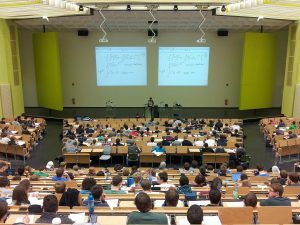 The lectures provided are usually the ones provided inside the Yale Lecture Halls, so, you’re getting into the lecture hall with a world-class researcher! Most of the courses at UC Berkeley are include: artificial intelligence, The Science of Happiness among other topics. Like Harvard, these are recorded lectures and you can get them in written form or video. Courses include: writing, psychology, technology, business courses as MIT is known for. They pride themselves in offering courses in different styles encouraging: active learning, problem solving, the use of digital tools, design processes. You just need to create an account and start to learn. The courses don’t look so much but you get to learn: Arts and Humanities, Social Sciences, Physical Sciences and other topics. The latest courses I found were offered at a price. I found code to be for K-12 students. I included it for you to be curious and also to see if you can enroll your curious grade school child. Other interesting free learning I found Interesting include. 24. University of London Podcasts. 25. University of Oxford Podcasts. Don’t limit your learning, learn as much you can with however much time you have. Don’t learn alone that’s why I have included some resources for your child as well. Keep learning to keep abreast with the changing industries in your work. Learning isn’t confined into a classroom that’s education. I hope this massive list offers you resources on where to learn for free. Peruse through to find a school that suits your needs. I’m sure there’s something for you. I varied the schools as much as possible. Would you want to know how to take an online course and stay disciplined? I have taken online courses and there can be a lot of distractions while at it. Thanks so much for the info sister at least I have hope in my search. I know where to start looking. God bless. You’re welcome Truphosa. I hope you find an online job by learning a skill. Get a Career as a Voice Over Artist: 3 Companies Hiring Kenyans for Online Work. Flexible Work at Home Jobs: Amazing Companies Hiring Kenyans for Online Work. Maths Tutor Needed: A Work Online Tutoring Opportunity for Kenya’s Maths Teachers.